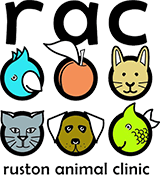 At Ruston Animal Clinic, we offer a variety of services to care for your pet. If you have any questions or would like more information on how we can care for your pet, please contact us today. 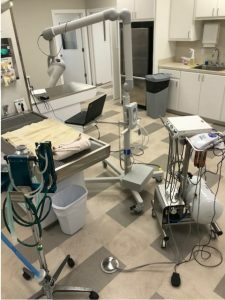 Additional services offered at the new facility include – ultrasound, K-laser therapy, dental xrays included in all dental procedures, Cat only boarding condos, 4 private boarding suites with windows, an outdoor exam room, improved runs with acrylic glass front doors.